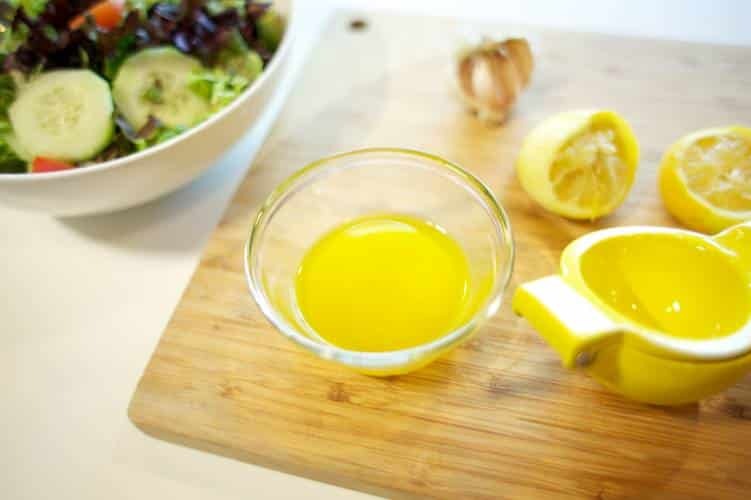 Don’t buy bottled dressing with countless ingredients and just try this one! Lemon and garlic bring a world of zing to any salad, fancy or plain. Combine all of the ingredients but the oil (lemon zest and juice, salt, garlic, and water). Then, slowly add the oil, whisking it until it’s fully combined with the rest of the ingredients.